Based on extremely anecdotal evidence, the amount of LaCroix consumed by the average American office worker per day is three cans. Per half-hour. People can’t get enough of those bubbly, sugar-free flavors. Plus they love having an excuse to say the word "pamplemousse." But they're seriously lacking in alcohol. Now, though, the country’s biggest boozemakers are hoping that when those same office workers return home at night, they reach for a LaCroix-like can of alcohol: boozy sparkling water. 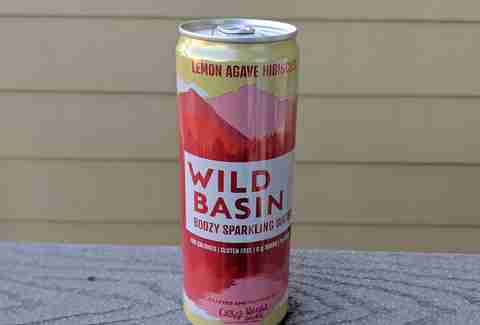 The big boys in the alcoholic sparkling water space include Anheuser-Busch InBev’s Bon & Viv Spiked Seltzer, MillerCoors’ Henry Hard Sparkling Water, and White Claw, produced by the same folks behind Mike’s Hard Lemonade. 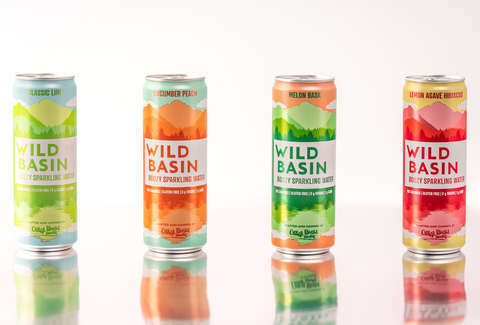 And now the craft beer world is entering the arena courtesy of Wild Basin, a new boozy bubble water from the titans at Oskar Blues. Can the brewery behind big beers like the beloved Barrel Aged Ten Fidy also make a solid can of boozy soda? We got our hands on all four of the flavors -- Classic Lime, Cucumber Peach, Melon Basil, and Lemon Agave Hibiscus -- and are here to tell you if they're worth your beer money. But first, what is this stuff anyways? It’s not quite beer, but it’s produced in a similar fashion. 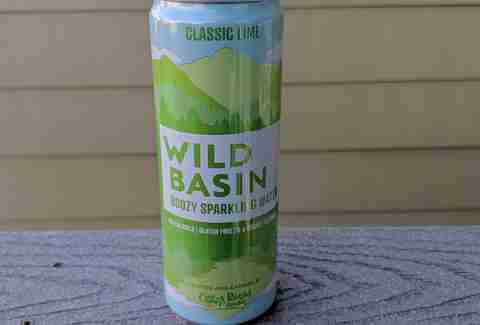 Instead of fermenting malted barley to make beer, Wild Basin is made by fermenting cane sugar. Here’s the breakdown per can: 5% ABV, 100 calories (a little less than a can of Bud Light), 1 gram carbs, and zero grams of sugar. Zero grams! No more waking up with a nasty hangover caused in part by too many sugary drinks. It’s currently only available in Colorado and North Carolina, but distribution will expand to the rest of the country soon. But most importantly: what does it all taste like, and should you be drinking it instead of pairing shots with LaCroix? Let’s find out. There’s something extremely satisfying about pouring this into a glass, especially with the way the liquid cascades over the cubes. And all the bubbles! It looks and sounds refreshing. I’m ready to dive in. But then the smell hits me. It’s… unpleasant. Wait, no it’s not, it smells like hibiscus! It’s fine again, I guess. It’s confusing. Maybe the taste will be better! It tastes lemony up front, and hibiscus notes on the backend. The aftertaste is a little funky, but it’s so smooth going down that I keep taking sips. The lemon flavors are delicious. There’s nary an artificial flavor to be found here, and you can tell. Should you drink this or do a whiskey shot and then chug a lemon LaCroix? Do a whiskey shot and then drink a Lemon LaCroix. Great news: the aromas coming off this are pleasant! Must’ve just been the Lemon Agave Hibiscus that was off. And things got even better after I took my first sip. I was a little concerned the basil would overpower the melon, but this is an absolute winner. Plenty of honeydew, watermelon, and cantaloupe notes are balanced out by a touch of basil on the finish. This is masterfully done. And the booze is hidden insanely well. It’s magic! Should you drink this or do a tequila shot and then chug a Kiwi Watermelon LaCroix? 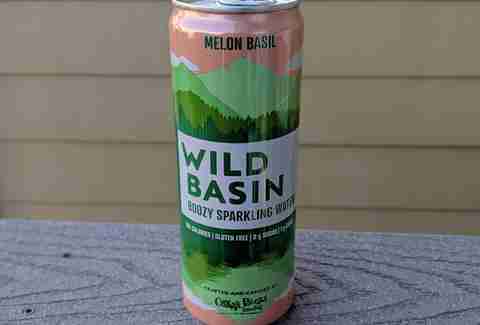 Drink a Wild Basin Melon Basil. This better taste like Lime LaCroix. Because if it does, I’m going to buy a case of this to drink when I don’t feel like a beer. But sadly the aromas remind me of the Lemon Agave Hibiscus (read: not my favorite) and it leaves a strange aftertaste in my mouth. I was most excited for this one, but I guess I’m going to have to stick with the Melon Basil as my go-to. Maybe the Cucumber Peach will be better. Should you drink this or do a kamikaze shot and then chug a Lime LaCroix? I enjoy cucumbers. I enjoy peaches. Have I ever wanted to combine them? No. I have never craved a peach cucumber sandwich or a peach cucumber salad. Did Oskar Blues throw names of veggies and fruits together in one of those Bingo machines and come out with Cucumber Peach? I’m scared. The aromas are primarily of peach and cucumber, along with some off-flavor I can’t put my finger on. Now I’m double scared. But then I took a sip. Amazing. There are background cucumber notes, but this is primarily a refreshing peach sparkling drink. It tastes like a hint of cucumber and a basket of peaches, but it’s not overly sweet. This has transported me to summertime, and not a frigid 29 degrees on a Tuesday night in January. Should you drink this or do a peach schnapps shot and then chug a Peach/Pear LaCroix? 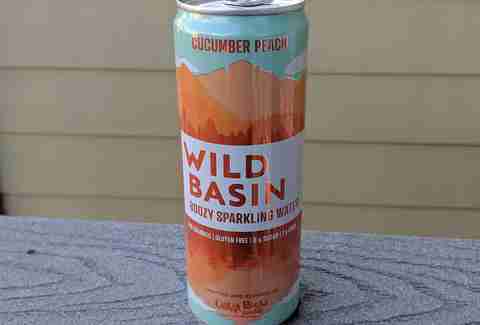 Drink a Wild Basin Cucumber Peach.